CarGurus has 472 nationwide K900 listings starting at $13,800. So Kia wants to roll with the big boys? After more than 20 years in the U.S. market, the Korean manufacturer is itching to prove it can do luxury just as well as the German stalwarts of the class—a sort of reverse move from the other Asian upstart of the late 20th century, Lexus. Enter the K900. It sounds like the Terminator’s canine companion and looks like a stretched Cadenza with BMW lighting, but can it get the same job done with less pomp and even less price than its German opposition? Sadly, no. But that doesn’t mean you should count it out just yet. To the specs! Starting with a calmed version of the Genesis' 5.0-liter V8, the K900 comes to the line with 420 hp and 376 lb-ft of torque, sent to the rear wheels via an 8-speed transmission. The setup will get you to 60 mph in 5.5 seconds and to 100 in 13 seconds even. That won’t win you any races or Kia any headlines, but it’s more than adequate for this 4,500-pound road couch. After all, a luxury car isn’t a sports car, despite the “One Tool for Every Job” school of design that seems to permeate the industry of late. However, there is a shortcoming with this engine, and it’s apparent at the pump. With an EPA estimate of 15 mpg city/23 highway, the K900 is outdone by rivals like the BMW 750i, which offers a 4.4-liter, twin-turbo V8 spinning up 445 hp and 480 lb-ft while still able to deliver 17/25. It’s a difference that’ll only become more apparent as competitors continue to wring more efficiency out of their mills. In an effort to appeal to the more fuel-conscious among us, a detuned version of the Genesis' 3.8-liter V6 will be offered with 311 hp and 293 lb-ft of torque, a massage that means you’ll get a return of 18/27—just barely enough to beat BMW’s twin-turbo V8 offering. But you’re not paying for a 750i here, a car the Kia will beat on price by nearly $20K before you even head to the customization corral. Really, that’s where Kia can shine, as it’s always prided itself on offering a catalog of standard equipment that would make most options lists jealous. With the V8, that means 19-inch chrome wheels; 16-element LED headlights, foglights and taillights; a panoramic sunroof; heated power-folding mirrors and power-closing trunk; keyless entry and start; and power heated/ventilated front seats. There’s leather everywhere—including on a heated wood-and-leather steering wheel—and a host of tech-assist hardware to keep you safe, like a backup camera, front and rear parking sensors, rear cross-traffic alert, a blind-spot monitoring system and lane-departure warning system. Lest you get lost or bored, there’s a 9.2-inch central display with navigation and a 900-watt, 17-speaker Lexicon stereo. And while many manufacturers ignore rear passengers, here they'll get heated outboard seats, a power rear sunshade, 3-zone climate controls, heated outboard rear seats and a power rear sunshade. If that’s not enough, the VIP package will add power reclining rear seats with ventilation, a 12.3-inch digital cluster, 360-degree camera and a pre-crash system. Many of these features go away with the V6 option, but can be added back at a price that still undercuts competitors. Once you get past the K900's dizzying list of features, you must return to its shortcomings. Here, it’s a suspension that fails to live up to its luxury aspirations, but only in comparison with sportier rivals. A 4-corner multilink suspension with coil springs and Sachs shock absorbers handles everything but the test track amicably, soaking up bumps and ruts with little fuss, but don’t think it’ll take well to a spirited thrashing through the mountains. That's sad, since the K900 shares its skeleton with the Genesis, which means the potential is there. Guess we’ll have to wait for the upcoming GT. That said, the K900 cruises at 65 mph with just 2 percent more noise than a Roll-Royce Ghost. Quiet is important, especially in a luxury car. What's your take on the 2015 Kia K900? wildbill2 Very nice car and good value. Seems that resale will be very weak as the perception of a Kia is still as a lower priced vehicle and virtually no prestige factor...yet. It's a bit brave to buy one now unless you get some kind of outrageously great deal on it. I think both Hyundai and Kia could have done better for themselves by "going for broke" and creating a new luxury brand because of this up hill battle they are faced with. They offer such inexpensive products and market these high end cars right beside them. Remember the demise of Packard. They brought out the Clipper, cheep alternative sold right beside the high end car. It brought the prestige level down so fast that it killed the company. Time will tell. Hyundai has been pretty successful so far even if the K900 is MUCH better looking than the Equus. Hopefully the 2016 looks more like the Genesis which is a handsome car. I have a Genesis now and really like it for the most part. 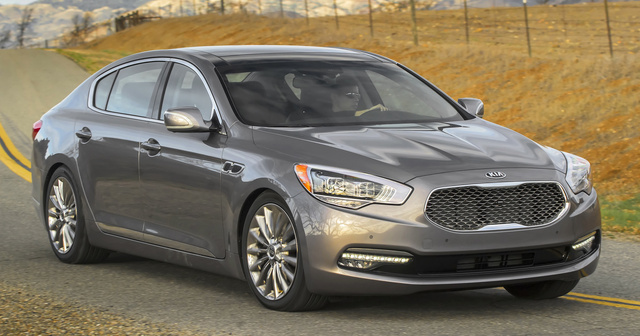 Users ranked 2015 Kia K900 against other cars which they drove/owned. Each ranking was based on 9 categories. Here is the summary of top rankings. 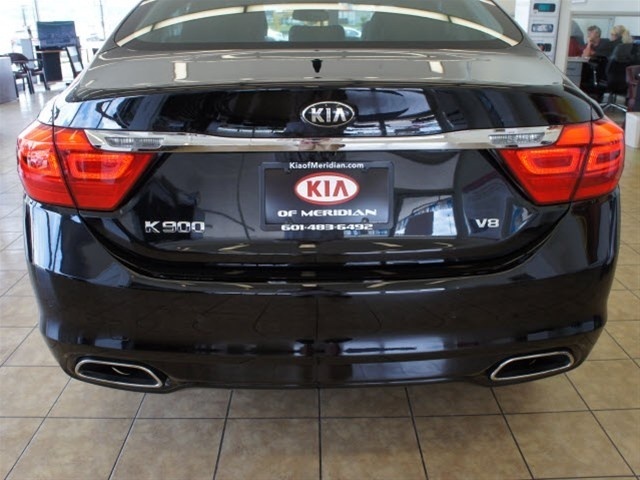 Have you driven a 2015 Kia K900?